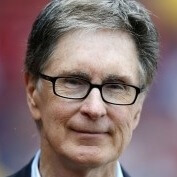 Businessman John Henry, the principal owner of the Boston Red Sox, has entered into an agreement to buy The Boston Globe for $70 million, a massive drop from its record $1.1 billion price two decades ago. The impending purchase from The New York Times Co. marks Henry’s “first foray into the financially unsettled world of the news media,” the Globe said Saturday. The deal will give Henry the 141-year-old newspaper, its websites and affiliated companies, it said. —The Washington Post. 3 Aug 2013 in Business, Current_Events, Journalism, Media.